Stefano Bardini was born in Pieve Santo Stefano (Arezzo) in 1836. 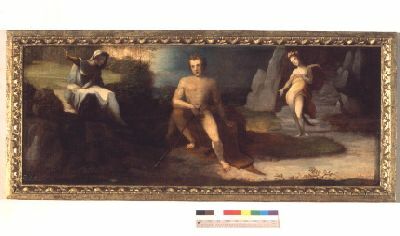 At a very young age, he moved to Florence in order to study painting at the Accademia delle Belle Arti, where he had his first decisive encounter with ancient art. He then abandoned the Accademia in order to haunt the circles of the innovative Macchiaioli movement and, like many of them, he participated in the struggle for the unification of Italy. After enlisting in Garibaldi’s army, in 1866 he fought valiantly in Bazzecca. 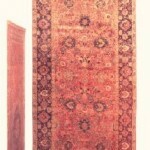 The year 1866 also marked the beginning of his new activity as a restorer of paintings and a vendor of art works. At that time, Florence was the seat of a very lively antiques market that ranged from 14th century paintings with a gold background to terracottas from the 1400’s, and more modest household objects. In the decade immediately following his participation in the Garibaldi campaigns, Stefano Bardini became a highly refined connoisseur of ancient art and a highly skilled manager in the field of restoration and of antiquarian business. 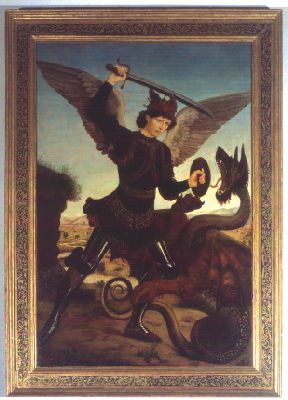 He had such relevant business relations both in Italy and abroad, with the principal museums and collectors, that, beginning in 1874, he exported works by Fra’ Angelico, Pollaiolo and Titian. Regular visitors at his numerous residences and warehouses were archeologists such as De Fabriczy, Robert, Studniczka, art historians such as Berenson, Loeser, Mason Perkins, Beckerarth and W. Von Bode, who founded the Kaiser Friedrich Museum, [now the Bode Museum], in Berlin, with the collaboration, works and advice of Bardini himself. Among the collectors with whom Bardini was in contact in the United States were Johnson, Morgan, Frick, Isabella Gardner Stuart, Lheiman, whose collections have been gathered in museums or have become museums themselves. 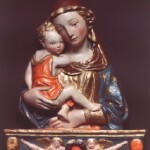 The European collectors worth mentioning were Mme. André, whose collection today makes up the Jacquemart André Museum, Prince John of Liechtenstein, Figdor of Vienna, the Nycarlsberg brewers of Copenhagen, whose collection has become a museum today. 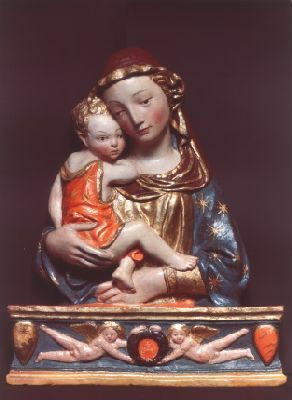 Even public museums purchased works from Stefano Bardini; e.g, the Museum of the Opera del Duomo in Florence bought two sculptures by Arnolfo of Boniface VIII and the Virgin of the Nativity, while the Bargello bought a Madonna by Michelozzo and a Sanctified Bishop in wood from the 14th century. In 1881, Stefano Bardini, by now a famous and esteemed owner of a fabulous collection, decided to create his own personal museum. 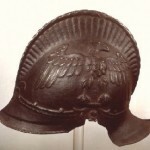 He purchased the 13th century church and convent of San Gregorio della Pace and transformed them into a palace of neoclassic taste, according to the fashion of his times, with the clear intent of converting the building into a proper museum, by also using salvage pieces and finds from monuments. The great window jambs on the first floor were made by remounting the altars taken from a Pistoia church, and the ceilings and the architraves of the doors were the result of Bardini’s untiring activity as a collector of historical and artistic relics. In the palace’s rooms, furnished by Bardini as exposition galleries, were gathered sculptures, paintings, furniture, ceramics, tapestries, arms and musical instruments. In addition, the building, having been conceived not only as a private museum but also as the premises for a prestigious agency, housed a series of rooms used for functions complementary to his antiquarian business: restoration workshops, warehouses and storage areas for materials, and, last but not least, a photographic laboratory that Bardini himself used, with good results and, thanks to which, we have been left a valuable archive of images. In the last years of his life, he decided to leave his art gallery to his adopted city, ‘out of the affection’ that tied him to Florence ‘and to show the adoration’ that he had ‘always cultivated for its artistic history’, as he wrote in his will two days before dying in September 1922. 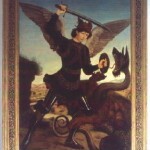 Since 1939, the collection of paintings that previously belonged to Arnaldo Corsi has been housed on the top floor of the Bardini Palace, where 611 paintings distributed in 12 rooms, along with a very limited number of furnishings, a heterogeneous collection of eighteenth century paintings from different schools and provenance and from the most diverse periods were exhibited. A collection of great value, whose importance is increased because it testifies to the taste and passion for collecting at the turn of the 20th century. Museo Stefano Bardini. 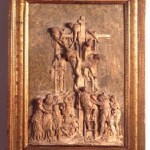 Guida alla visita del Museo. 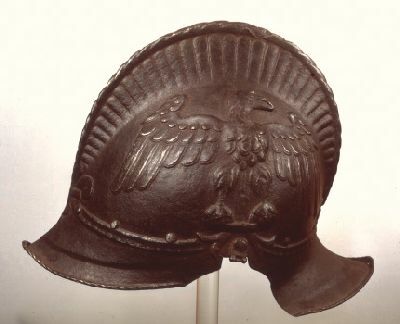 A sallet that covered the head, also called a burgonet. 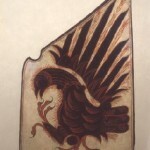 It is decorated with the symbol of an eagle, and probably belonged to a member of the Gonzaga family. Size: 34 cm. 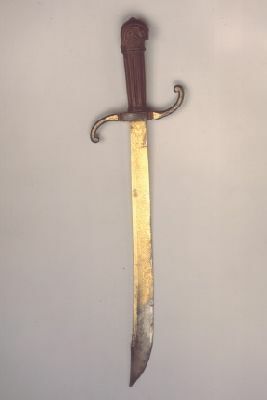 x 23 cm. 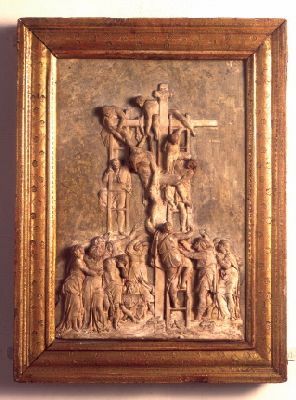 The Buonarroti House’s version is the best known example, and is connected with a drawing attributed to Michelangelo by Tolnay. This example recalls a prototype that was frequently reproduced in the 15th century for private clients or religious companies. This version, with garland-holder angels and shields, can also be found in the Empoli cathedral and in Florence’s San Felice in Piazza. Size: height 136 cm., width 71 cm., depth 45 cm. Adorned with braided hair and dominated by a flat crown, Charity is represented here in a rare iconography that is derived from the fusion of the two most common versions of this symbology: the Caritas Misericordia and the Caritas Amor Dei. Size: 175 cm. 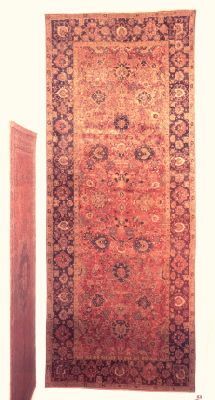 x 116 cm. The critical history of this painting, a masterpiece of the Tuscan Renaissance and one of the most important acquisitions in the Bardini collection, is articulated around three questions: its attribution, autography, and identification with a work described by Vasari. 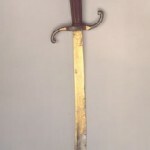 It belonged to Francesco dell’Antella. 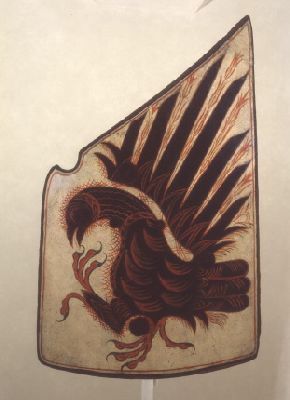 The targe is decorated with the image of an eagle; its brown feathers and large talons are well-defined. Size: 60 cm. x 155 cm. It is the central panel of a chest very similar to another chest front housed in the Horne Museum, which depicts the “Story of Deucalion and Pyrrha”. By car: once in Florence, follow the signs for the Viali di Circonvallazione (boulevards), then for the San Niccolò district. Park in Lungarno Torrigiani. Closed from Tuesday to Thursday and on New Year’s Day, Easter day, 1 May, 15 August, and 25 December. The museum is accessible from Via dei Renai, 37. Visitors with mobility problems should enter from Piazza de’ Mozzi, 1. The museum is barrier-free except for the Hall of Arms. School groups: it is compulsory to hand in the list of names on the school’s letterhead.